The above comes from the chapter “The Ogre of Economic Power,” from John Kenneth Galbraith’s breakout text American Capitalism. This is one of the four texts included in the Library of American collection of Galbraith’s writings from the 1950s and 1960s. (I am not sure if another volume is in the works). 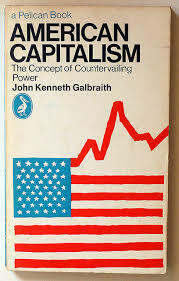 What strikes a radical about reading a liberal like Galbraith is how late he came to a basic understanding about the economy, and how amazing the discovery is. There is actually not so much in American Capitalism (the specific examples aside) that cannot be deduced from Marx or even Adam Smith. But we welcome his realization that the US economy was dominated by a small elite. He even has some interesting things to say in the way of possible solutions to the problem of economic centralization in the hands of an oligarchy. 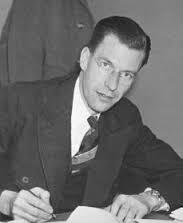 Galbraith was a Canadian by birth. He had a traditional academic career, completing his Ph.D. dissertation in his mid-twenties. His formative years were in the Great Depression, where he was exposed to the ideas of John Maynard Keynes, who influenced not just his ideas on the economy, but practically a generation of economists, trying to come to terms with the Great Depression. 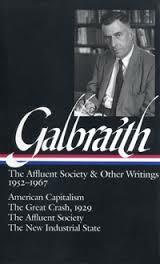 The Depression is on Galbraith’s mind when writing American Capitalism. It was not ancient history for him. It was integral to his world view. In this sense, it is hard to blame him for his insistence that the state stand in to oppose the centralization of capital. Galbraith was living in an era where libertarian ideas (especially anarchism) were fading. The lessons of the Depression and the World Wars and post-war “prosperity” was for many that the state could create a compromise economy that could save capitalism without expanding its excesses. I suspect I will come back to this plenty while reading these four early works of Galbraith. American Capitalism is a slim volume. 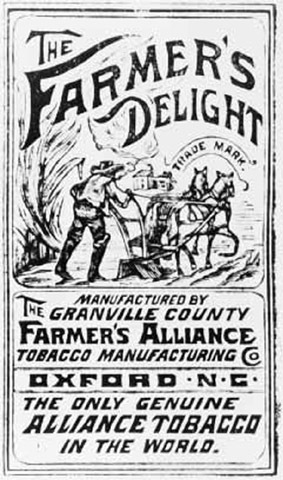 Its title suggest a general history of American economic history, or even a picture of the overall economic situation. It is neither of these things. Instead, the book is a focused study of the problem of monopoly. Why, in contrast to classical theories, was the American economy becoming more, not less, centralized? That is the narrative of power. For the other side of the dialectic, Galbraith presents his theory of “countervailing power.” This is often, but not always the state. It can also take the form of insurgent businesses, labor unions, communities, or co-operatives. Why anarchists may find something of value in this text is in his theory that the power of monopoly always inspires resistance in the form of these “countervailing” forces. While most will look upon his belief that the state is one of the most effective institutional means to formalize this resistance, it is hard to deny that the state did significantly tame capitalism in a handful of countries in the middle of the 20th century. We now know it was an unstable situation and quickly undone as soon as the global capitalist class reformed itself economically and politically. This does not mean employers’ associations did not regularly meet and cooperation, however, just that it was not necessary for market manipulation. He points out that one reason oligopoly emerged from the Second World War so powerful in America was that the policies of the government in the New Deal and the war were not interested in any regulation of collaboration. The New Deal was more concerned with employment and rising wages (big firms could do that as well as small firms, it was believed). During the war, it was much the same. As the economy recovered, businesses were more centralized than ever and this worked well for the needs of an interventionist state. In short, the less of American Capitalism is that no matter how strong the capitalist elite may seem, their hegemony is not uncontested or passively accepted. What this resistance will look like willed pend much on the nature of the economic hegemon and the local economic situation, so there is no model to work from. After all, Galbraith was an economist not an activist. This entry was posted in Capitalism, Class Conflict, Consumer Society, Economics, History, Library of America, Political Thought, Resistance, The State and tagged american capitalism, corporations, countervailing power, great depression keynesian, john kenneth galbraith, unions. Bookmark the permalink.